A common thread I noticed in the comments from last week’s post, How To Talk to Your Kids About Family Debt was the desire to ensure any conversations about family debt didn’t scare your kids, which is completely understandable. The conversation shouldn’t scare your children, but reassure them that you’re in control and confident in your plan. But what I suspect you truly fear is actually having one of these conversations with your kids. As parents we want to protect and shelter our kids from all the bad things in the world, including debt. We created our debt, so it is our burden to bear, not theirs. This is why many parents will choose to not talk to their kids about family debt. I hate to burst your bubble, but your kids most likely already know. Yes, very young kids may not, but elementary age children and above will have a sense that there are undiscussed money problems. Kids are very good at picking up emotions. And getting out of debt brings out a multitude of emotions in adults. I remember being a young girl and pulling my Mom aside before entering a restaurant to ask her what we could afford to eat. My mother never told me money was tight, but I knew she worried silently about money, which in turn caused me to worry silently along with her. Since I knew she would have saved for this meal, I wanted to be sure that I didn’t order anything she couldn’t afford. She assured me that I could order whatever I wanted, but I didn’t believe her, so I ordered the cheapest item on the menu to spare my Mom any embarrassment when the bill came. From my own experiences and from talking to clients, kids observe so much more than most parents ever realize and can misinterpret what they witness. You may think you are putting on a brave face and delivering an Oscar worthy performance, but your kids can still tell something is wrong. And when you don’t talk to them about it—this causes stress and allows their vivid imaginations to run wild. In the end, even though your intent was to shield your kids, you still caused fear and perhaps, even more fear than you would have by being upfront with them. And those fears will shape some of their core beliefs, such as: money is a taboo topic; money is scary; money makes people fight; money makes adults secretive, etc. At the same time, I also think there is a deeper reason why you don’t want to talk to your kids about family debt—you are ashamed. You are no longer the happily-in-debt person who was unaware how living beyond your means jeopardized your family’s financial well-being to the person who does know and regrets their actions deeply. Please stop beating yourself up. It’s like crying over spilt milk. It’s already spilt (you’re already in debt), so let’s focus on cleaning it up. You now recognize your past mistakes and are committed to eliminating your debt, which is what really matters. And if you really, truly want to protect your kids, then tell them about the family debt, so they can not only become your biggest supporters, but also learn about the dangers of consumer debt at the same time. Otherwise, the first time they may learn about debt is when they acquire it themselves via credit card. Some of you have had the good fortune to never experience debt or eliminated it before having children or while they were babies. Congratulations, but you still have to talk to your kids about debt. 🙂 Next Monday, we’ll take a closer look at debt and how to teach kids to think about it. I think it is important to talk about money and the various types of money issues, but to do it in a way that they understand and are not scared/frightened of it. Absolutely! Kids needs to see all the sides of money. The joy it can bring but also the damage one can do if they don't handle their money wisely. Helping our kids have a balanced relationship with money is one of the greatest gifts we can give them. I'm glad that we got our debt paid off before we had kids. However, if we were in debt I would just be honest with them. That's always the best policy. Agreed, Holly! Honesty is the best policy. When kids understand what is going on, they feel less stressed because they know Mom and Dad are fixing the problem and know what to do to help out. When they are left in the dark, it can be far scarier for them because their minds will conjure up all sorts of scenarios. I think you're absolutely right that being up front with your kids about your financial situation, whatever that situation consists of, is incredibly important. As you say, they have a sense of what's going on anyways, and involving everyone in these decisions does worlds for their education and for your family togetherness. I think the point I was trying to make in my comment last week was that you can be open about it without doing it in a way that causes fear. You can be open about owing money and the need to pay for it without getting into the extreme aspects of what might happen if you don't pay it. That allows your kids to understand what's going on and participate in the process without fearing that they'll be out on the street if they want some bubble gum on the way out of the grocery store. As always, balance is the key, which I think is exactly what you're talking about here. Absolutely, Matt. At this point, you don't need to go into detail with them, but just let them know that Mom and Dad need their support and help. The greatest lessons will be the one's they observe - watching Mom and Dad set goals, slow down and think about what matters, save for the things they want, etc. Good words, Shannon! I don't have kids, but it would be very difficult for me to talk to them about money problems. I think it's very psychological and you want your kids to be shielded from these sorts of stressors. Thanks, DC. It is hard for parents to talk to their kids about money problems as we don't want them to witness our mistakes. But when we admit our mistakes and share what we learned with our kids, they learn too and feel comfortable coming to us for money guidance. It's so true that kids can pick up on anything. Growing up, my parents thankfully never hid the fact that we were short of money, sometimes. And thinking back I remember seeing my older brother ask for money all the time, and my parents reaction to him and whatever they said, had me ALWAYS feeling guilty of even borrowing $5 to go see a movie with friends. Great post! It's true, kid see so much more than we think they do or sometimes want them to. We might as will be upfront with them, so they understand that Mom and Dad have a handle on everything, but also know how to support their efforts too. "It’s already spilt (you’re already in debt), so let’s focus on cleaning it up." - very empowering statement! Though it's waned, I still struggle with beating myself up over past mistakes, but I am getting better/quicker at catching myself doing so and getting over it. Thanks for the reminder to focus and constantly move forward! You're welcome, Anna! Once you realize your money mistakes, it's very easy to dwell upon them. We've all been guilty of doing that, but moving forward is what is going to get us to where we want to go. I'm glad you're moving forward and letting go of past mistakes. I agree that having a conversation is very important so that their imaginations do not conjure up their own story, which could end up being far worse than the situation really is. At the same time every child of course is different in that some may sense there is a problem in the house around money and some may be oblivious to it. So perhaps the conversation should begin with asking kids what they "think" is going on first, and then casually weaving in a chat about the true situation. Great point, Sicorra. It's never a bad idea to see what they think is going on first so that you can alleviate any fears of what they may or may not think is going on. When talking to them about family debt initially, I would keep it very simple and more focused on how kids can support Mom and Dad. When they are older, you can talk more in depth about what debt is and dive a bit more into the pros and cons. 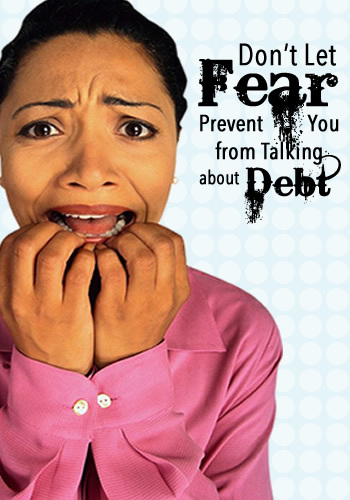 I think fear is the biggest reason why people don't talk about debt. They're afraid of what others will think or they're afraid that by admitting to it that it'll actually feel real. So many people want to try to push debt under the rug, but that never works. I wish our society was more open to talking about personal finances. I think everyone would benefit from this. I agree, Jake. Lots of people are willfully blind to their debt and its dangers. Many hope if they don't acknowledge it, than it isn't real, but debt always, always catches up with you. So you might as well get in front of it. I agree - talking more openly about personal finances would be a great thing, especially within families. Kids know everything. And your parents know too. And your neighbors. Like an alcoholic or an addict, the person is usually the last to see a thing. Very true. We think we are so clever hiding our problems, but we are probably the last one's to recognize them. Keeping secrets from our kids (that they probably already suspect) only creates a secretive home environment. We want to create an open environment when our kids feel comfortable talking to us about money and vice versa. I know for my mother, she didn't want us to worry, and she wanted to give us the feeling that it was all under control. She also wanted other people to believe she had everything under control. I always knew we were poor, none of my friends lived like we did, so I knew. 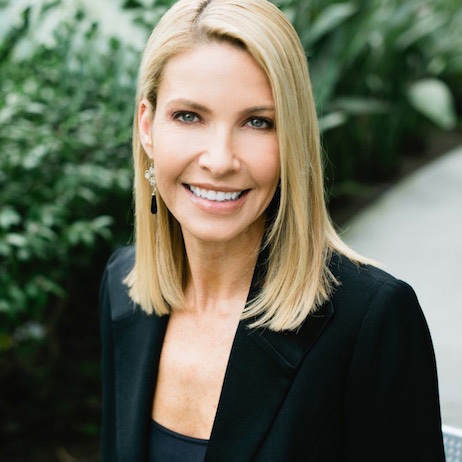 She tried to teach us the little she knew about money, but I think she knew that she wasn't in control, so she probably didn't value her own advice very much. For many of us she taught us by example how crippling poverty can be. It's definitely a parent's natural instinct to protect their kids, which is certainly understandable and honorable. But when it comes to money, the more we can teach them–including our mistakes–the better off our kids will be. I don't have kids yet but I still struggle at not crying over spilt milk with my debt. Honesty really is the best policy and I plan on being honest with my kids if they ever ask any tough money questions. That sounds like a great plan, GMD! We learn from our mistakes and so do our kids. It doesn't make them think any less of Mom and Dad and can instead cultivate an open environment where they feel comfortable coming to you with questions and for advice. Great thoughts Shannon and I could not agree more. Kids are so much smarter than we give them credit for. We have seen this yet again with our 5 year old over the past few weeks as we have been dealing with an extended family issue. We really have not discussed it with her around, yet she still knows (generally) what's going on and who the people are. It'll be the case with debt as well and why wouldn't we want to help set our children up for success in the future? I think it's all a part of the learning process in regards to money so they can have a greater appreciation of it in the future. It's astounding sometimes how much young children grasp and understand. We don't give them enough credit. When they are young, you certainly don't need to get into minute details of debt. But pretending it doesn't exist, does not protect them. Knowledge is power and debt is something every person will face at some point in their life. Great points here, Shannon. And I so agree: the kids already know! They can sense your fear and frustration over money every time you set foot into a store. Kids are so wise. As you know, for us, letting our kids in on our debt situation, and then creating a game plan as a family to get out, has been wonderful for our family. The kids understand why we aren't able to spend like we used to, and they don't want us to spend that way anymore! They fully expect us to be responsible enough to get out of this mess, as they should. I can't wait until we can celebrate crossing the finish line together! Kids are so wise and can handle things much better than we give them credit for as well. Plus, as you noted, being a part of solution helps them feel in control too and can really unite the family as you all work together to conquer debt. They learn so much when you bring them into the fold and your kids will have seen you go for mindless spender to mindful spender and see the joy in living debt-free. I think you are right and many are ashamed. They want to be the role model for their children so they grow up to make a better life for themselves. You are right though, kids know when something is wrong. Parents don't have to tell them, they can see, listen and feel the stress surrounding them or the worry. They even answer the phones. A friend worked for an organization that called people to pay their bills that were well overdue or face disconnection for electricity. This is not the first time it's happened t her either. She's had some times where she's cried listening to people's stories about why they couldn't pay. The hardest was the seniors so she helped them out even though she was supposed to cut them off. One time a young boy who sounded around 8 or 9 answered the phone. She asked for his mother. He replied that she wasn't home. She then asked if the father was home and he said he was sleeping. She asked if he could please wake him up. He said no. After some convincing he said ok. A few minutes pass and on the other end she hears in a hoarse voice... "HELLLO"..... (it was the boy pretending to be the father) she said... "it's not your dad it's you".... he said " ok give me a minute".. came back and did it again. She says, " I know it's still you" I need to speak to your parents. He said "I can't they weren't home" and hung up. Clearly he was protecting them because they couldn't pay the bills and had the child answer the phone to deal with creditors. Whether they put the child in that position or he knew the point is he protected his family because that is what he felt he needed to do. Oh, your story breaks my heart. So sad and true. Some parents try to shelter their kids with the best intentions while others put too much responsibility on their young shoulders. Parents need to talk about debt, but not to put the child in the position where they have to cover for their parents money problems. So sad. I definitely think kids pick up on emotions. If my parents were in debt (I don't think we were) I didn't know about it. My moms money problems happened much later in life. Kids definitely pick up emotions and sometimes parents forget that even though they might say all the right things, their mannerisms tell another story. Excellent! I think so many people want to shelter their kids from the world. Now, my kids are 17, and I can see the effects of this approach with some of my kid's friends. They're leaving home to go to college and are ill prepared because their parents shielded instead of taught. Thanks, Joe! Absolutely, parents believe they are doing the right thing by sheltering their kids but understanding debt is part of handling money. Certainly we don't want to scare them or place the burden of getting out of debt on them, but they need to know what it is before they get themselves into it. Oh, Shannon. I think this is "the talk" to be having with children. I wish money had been discussed in front of me. I agree that, by not including children in conversations you may be contributing to some of their later views about money. I had to get over so many before we started really conquering our debt. I agree, Tammy. Parents need to talk to their kids about money and that includes debt. So many money hang-ups stem are passed generation to generation within families. It's a cycle we have to break and it can happen if we start talking openly about money with our kids. You're absolutely right to say that kids know what's up, even if you are putting up a good front. Kids are smart, and they know how to pick up on stressful situations. It's better to let them know what is going on and to reassure them that it is going to be ok, than to be fake and tell them that there isn't a problem. Absolutely, Vanessa! Our imagination can conjure far worse scenarios. Understanding what is going on and that Mom and Dad are fixing it, is reassuring. They might not always love all the initial changes, but at least the understand why they are being made and can learn with Mom and Dad as they change their money habits. Kids ABSOLUTELY need to be in the know about money. They need to understand all the ins and outs of the family's functioning and money is a huge part of that. Loved this post. I couldn't agree more, Catherine. Kids need to see how many works, which includes debt. Kids are smarter than we give them credit for. I'm sure they pick up on how one moment there was plenty of spending going on and the next there are drastic cut-backs. Thanks Corina! It's great that you were upfront with your kids. They would have known something was up anyways, so they might as well know the truth and how they can help the family move forward. Money issues were either hush-hush or complete blowouts in our home when I was a kid. I think my parents a smart about money and had much to teach me, but were either ashamed at what we did not have or simply did not think it was appropriate for us to know. Kids can handle a lot more than most adults think they can. They'll generally let you know when they've reached their limit. In fact, they can barely help themselves. Sounds like a typical family CJ. Every child will grow up to handle money, which is why it's so important we talk to them about it, even if we don't feel qualified. There is no reason why parents and kids can't learn about money together. In fact, it's a great activity for the family to do together and can really unite them. Not talking about debt can be really dangerous, but talking about it can put the whole family on the right track. This one time - long time ago - we told our son that we needed to save money to buy a house, so we were going to be frugal for a while. One day, when he was in the kindergarten, he would refuse to get pictures taken at an event because it would cost money us money. We were quite shocked, that he took our words about finances so seriously and he was only 6! But the morale of the story is: Talk to you kids and they will listen. Great story, Elena! We don't give our kids enough credit. They observe and grasp so much more than we often realize. Even though it can be uncomfortable initially having the conversation, the family will be so much stronger for doing so. Thanks for stopping by and commenting! Fear is what stopped me from talking about debt, but after I got over the fear, I was more open about my debt and it helped me pay it off. I plan on being very straight forward with my son when he is old enough to understand. Once people get over their fear and start talking about debt, it becomes very liberating for them. I think it's great that you are going to open with your son about your past and help him build a good relationship with money.